Pale straw green in colour and enticingly fragrant, the 2011 Sauvignon Blanc offers lifted aromas of ripe stonefruit and juicy citrus with underlying notes of blackcurrant leaf and tomato plant spice. The palate is fine yet succulent, with zesty citrus flavours and fresh acidity. There is an appealing plushness about this wine especially as it leads into a lingering and characteristically crisp finish. Grapes were sourced from estate and grower vineyards located in the Rapaura, Fairhall, Renwick and Brancott sub-regions of the Wairau Valley. Free draining, stony soils typify the Rapaura and Renwick areas whilst Fairhall and Brancott are predominantly aged alluvial loams containing some clay. The majority of fruit was grown on a vertical shoot positioned (VSP) trellis with three canes laid down. In 2011, average sauvignon blanc yields were 10 tonnes/hectare. A warm spring emerged from an unusually wet winter, providing the perfect conditions for rapid spring growth. Warm conditions continued and flowering occurred a week earlier than average in late November. Rainfall in November and December allowed for a high level of fruit set and strong bunch growth through January. These ideal conditions lead to heavy crops and therefore vineyards were ruthlessly thinned in late January to maximise fruit quality and advance ripening. The Sauvignon Blanc harvest commenced on March 21st under cool yet settled autumn conditions. Consistent with years past, the first fruit was picked from stonier, warmer sites in the Rapaura sub region. Harvest continued steadily over a months time, progressively working through the later ripening sites with the last of the Sauvignon Blanc being harvested on April 20th. Fruit thinning paid off with all but a few blocks of Sauvignon Blanc safely tucked away in the winery when unseasonably heavy rains arrived over the weekend of April 17th. Strict yield management produced fruit of ideal physiological ripeness with an average brix of 22.5. Fruit was harvested during the cooler night and early morning temperatures. Grapes were de-stemmed and transferred straight to tank presses within hours of picking. Free run and lightly pressed juice was cold settled for 48–72 hours then racked and inoculated with yeast. Fermentation was carried out in stainless steel tanks at a low temperature to preserve freshness. At the blending bench, only components presenting a true expression of their vineyard site were considered. 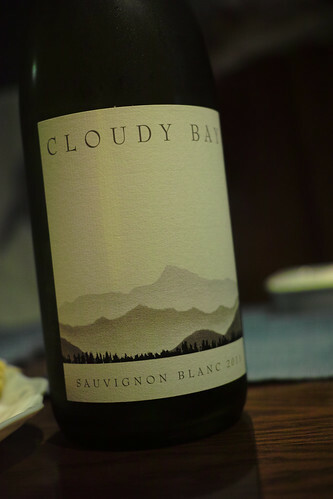 引用元: Sauvignon Blanc 2011-New Zealand-Wine.